Bats are the only mammals capable of sustained flight. These mammals are nocturnal and roost during daylight hours in natural or man-made structures. Bats may be solitary or highly social and these gregarious species are found in colonies of over a million individuals. The many bat species have diverse food preferences, which include nectar, meat, fish, fruits and insects. Three species of bats feed on the blood of other living creatures. Bats are typically brown or black in color, but may have grey, red, white or orange fur. Select species have striped faces or backs or possess patches of white over their shoulder area. Certain bat types have white facial markings. The wing membranes of bats are normally dark in color but some species have white on the tips. The areas surrounding limb bones is lighter in color in some bats. 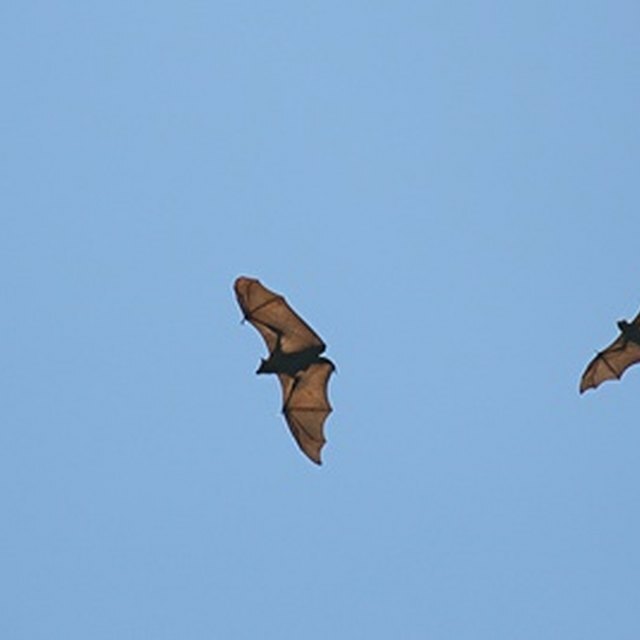 Select bats possess light yellow or even white wings. The sparse hairs on the membrane can either be the color of the animal’s wing or of its body. Bat species that roost in dark and secluded places, such as caves, tend to be dark in color. The Rodrigues fruit bat is a large species of bat that possesses dark brown fur over most of its body. This animal’s head, neck and shoulder region is, however, golden in color. The spotted-winged fruit bat is the smallest fruit bat globally. This little creature inhabits areas in Malaysia, southern Thailand and on Borneo. The spotted-winged fruit bat has dark wings with a pale spot over each of the joints. The Salim Ali's fruit bat is a rare, middle-sized bat with light-brown wings and a head which is covered by blackish brown fur. The belly of this bat is light grey-brown. The straw-colored fruit bat gets its name from the straw color of its exterior. The lesser short-nosed fruit bat is brown to yellowish brown. The male animal of this species possesses a dark orange collar while the collar in the female is yellow. The short-nosed Indian fruit bat is brown on its upper side and pale underneath. 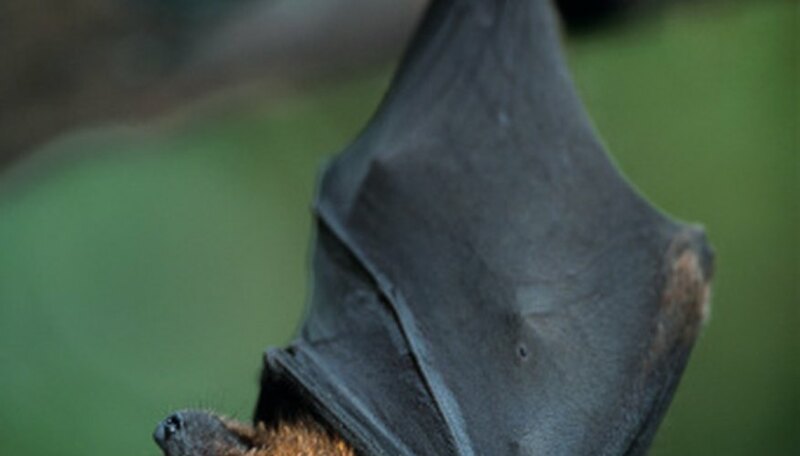 The eastern tubenosed bat, which is also known as the Queensland tubenosed bat, is principally a dark brown bat but has a grey head and scattered yellow spots. The black flying fox has short black hair with a reddish-brown mantel. The flying fox has pale yellow fur on the top of its head and around its eyes and has a yellow mantle over its neck, shoulders and back. Bolton, Naomi. "What Colors Are Bats?" Sciencing, https://sciencing.com/colors-bats-8199574.html. 25 April 2017.